This set of five paperback books is designed as an introduction for children to India's great mythology with lots of color and easy to read type. 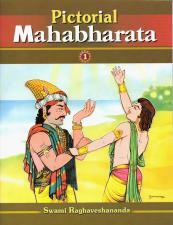 The Mahabharata is one of India's most popular epics. This set of five paperback books is designed as an introduction for children to India's great mythology with lots of color and easy to read type. Large color drawing with text suitable for reading to children. Ages 4-10. 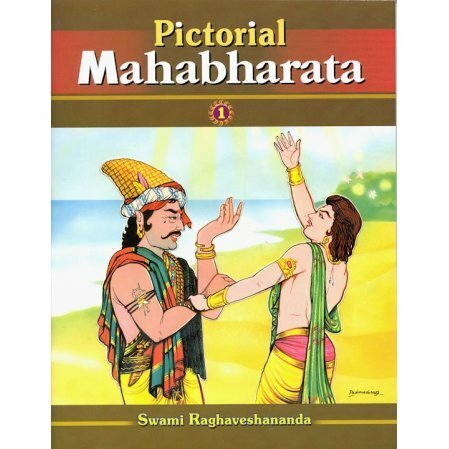 As the volumes sell, the publisher is changing the title of the book from Mahabharata for Children to Pictorial Mahabharata. It's the same book, but some of the volumes have the old title, others have the new title. There is also a hardback edition that contains all 5 volumes within one book.